Matthew 24:1-23—And Jesus went out, and departed from the temple: and his disciples came to him for to shew him the buildings of the temple. And Jesus said unto them, See ye not all these things? verily I say unto you, There shall not be left here one stone upon another, that shall not be thrown down. And as he sat upon the mount of Olives, the disciples came unto him privately, saying, Tell us, when shall these things be? and what shall be the sign of thy coming, and of the end of the world? And Jesus answered and said unto them, Take heed that no man deceive you. For many shall come in my name, saying, I am Christ; and shall deceive many.And ye shall hear of wars and rumours of wars: see that ye be not troubled: for all these things must come to pass, but the end is not yet. For nation shall rise against nation, and kingdom against kingdom: and there shall be famines, and pestilences, and earthquakes, in divers places. 8 All these are the beginning of sorrows.Then shall they deliver you up to be afflicted, and shall kill you: and ye shall be hated of all nations for my name’s sake.And then shall many be offended, and shall betray one another, and shall hate one another. And many false prophets shall rise, and shall deceive many. And because iniquity shall abound, the love of many shall wax cold. But he that shall endure unto the end, the same shall be saved. And this gospel of the kingdom shall be preached in all the world for a witness unto all nations; and then shall the end come. When ye therefore shall see the abomination of desolation, spoken of by Daniel the prophet, stand in the holy place, (whoso readeth, let him understand:) Then let them which be in Judaea flee into the mountains: Let him which is on the housetop not come down to take any thing out of his house: Neither let him which is in the field return back to take his clothes. In the above passage(s) Jesus had finished answering the question about His Second Coming, when He switches gears to answer the questions about the “signs of the end of the age.” The first sign that would show that the end of the age had arrived was the fig tree shooting forth its leaves. The fig tree is one of the last trees to bud in the spring. So when it puts forth leaves, people know that summer is right around the corner. What does the fig tree represent? 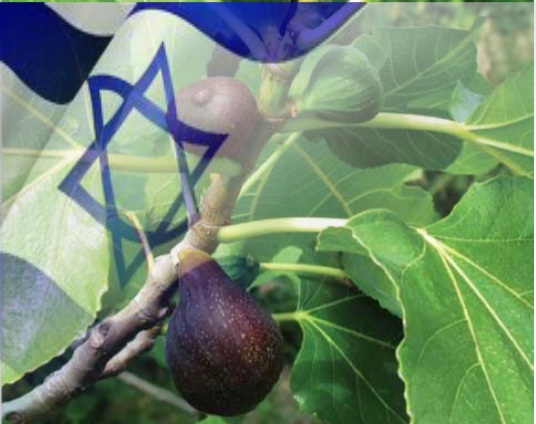 In the Old testament, the prophet Hosea compared the nation of Israel to figs. Furthermore, the prophet and Isaiah compared them to plants in a vineyard. Isaiah 5:7 – For the vineyard of the LORD of hosts is the house of Israel, and the men of Judah are His pleasant plant. Joel 1:6-7 – For a nation has come up against My land, strong, and without number; his teeth are the teeth of a lion, and he has the fangs of a fierce lion. He has laid waste My vine, and ruined My fig tree; he has stripped it bare and thrown it away; its branches are made white. The passage in Isaiah 5:7 shows us that the vineyard belongs to the Lord. The keeper in the parable above is Jesus, who was three years into His ministry at the time. Right before Jesus shared the parable, He warned that unless Israel repented, the nation would perish. In the parable, God told Jesus to cut down the tree, which is Israel. Jesus requested to give the tree until the next season to bear fruit, before cutting it down. A few decades after the death and resurrection of Jesus Christ Jerusalem was utterly destroyed in 70 A. D.
Romans 11:1-27—I say then, Hath God cast away his people? God forbid. For I also am an Israelite, of the seed of Abraham, of the tribe of Benjamin. God hath not cast away his people which he foreknew. Wot ye not what the scripture saith of Elias? how he maketh intercession to God against Israel saying, Lord, they have killed thy prophets, and digged down thine altars; and I am left alone, and they seek my life. But what saith the answer of God unto him? I have reserved to myself seven thousand men, who have not bowed the knee to the image of Baal. Even so then at this present time also there is a remnant according to the election of grace. And if by grace, then is it no more of works: otherwise grace is no more grace. But if it be of works, then it is no more grace: otherwise work is no more work.What then? Israel hath not obtained that which he seeketh for; but the election hath obtained it, and the rest were blinded. (According as it is written, God hath given them the spirit of slumber, eyes that they should not see, and ears that they should not hear;) unto this day. And David saith, Let their table be made a snare, and a trap, and a stumblingblock, and a recompence unto them:Let their eyes be darkened, that they may not see, and bow down their back alway. I say then, Have they stumbled that they should fall? God forbid: but rather through their fall salvation is come unto the Gentiles, for to provoke them to jealousy. 12 Now if the fall of them be the riches of the world, and the diminishing of them the riches of the Gentiles; how much more their fulness? For I speak to you Gentiles, inasmuch as I am the apostle of the Gentiles, I magnify mine office: If by any means I may provoke to emulation them which are my flesh, and might save some of them. For if the casting away of them be the reconciling of the world, what shall the receiving of them be, but life from the dead?For if the firstfruit be holy, the lump is also holy: and if the root be holy, so are the branches. And if some of the branches be broken off, and thou, being a wild olive tree, wert grafted in among them, and with them partakest of the root and fatness of the olive tree; Boast not against the branches. But if thou boast, thou bearest not the root, but the root thee. Thou wilt say then, The branches were broken off, that I might be grafted in. Well; because of unbelief they were broken off, and thou standest by faith. Be not highminded, but fear: For if God spared not the natural branches, take heed lest he also spare not thee. Behold therefore the goodness and severity of God: on them which fell, severity; but toward thee, goodness, if thou continue in his goodness: otherwise thou also shalt be cut off. And they also, if they abide not still in unbelief, shall be grafted in: for God is able to graft them in again. For if thou wert cut out of the olive tree which is wild by nature, and wert grafted contrary to nature into a good olive tree: how much more shall these, which be the natural branches, be grafted into their own olive tree? For I would not, brethren, that ye should be ignorant of this mystery, lest ye should be wise in your own conceits; that blindness in part is happened to Israel, until the fulness of the Gentiles be come in. And so all Israel shall be saved: as it is written, There shall come out of Sion the Deliverer, and shall turn away ungodliness from Jacob: For this is my covenant unto them, when I shall take away their sins. Many churches toady support a doctrine referred to as “Replacement Theology.” This “man-made,” doctrine propagates the notion that the Church has replaced Israel as God’s chosen people and God is finished with Israel. Amos 9:14-15—And I will bring again the captivity of my people of Israel, and they shall build the waste cities, and inhabit them; and they shall plant vineyards, and drink the wine thereof; they shall also make gardens, and eat the fruit of them. And I will plant them upon their land, and they shall no more be pulled up out of their land which I have given them, saith the Lord thy God. Despite being overtaken by the Babylonians, the Assyrians, and despite being almost wiped off the table of nations due to the mass genocide of World 2 under the directives of Adolph Hitler, a miracle in itself took place in 1948. Israel was replanted! In other words, the fig tree began to put forth her leaves. The Jews returned from exile and ultimately won the West Bank and the Golan Heights during the the Six-Day War. Since the Jews began returning to the land, there has been a constant struggle in the Middle East in the form of wars and terrorism. The Islamic world wants to destroy Israel, while the rest of the world wants to bring peace to the region by dividing Israel and Jerusalem. Israel is doing rather well economically and they have recovered from several wars. However, Israel is not living securely with the threat looming by her immediate neighbors. 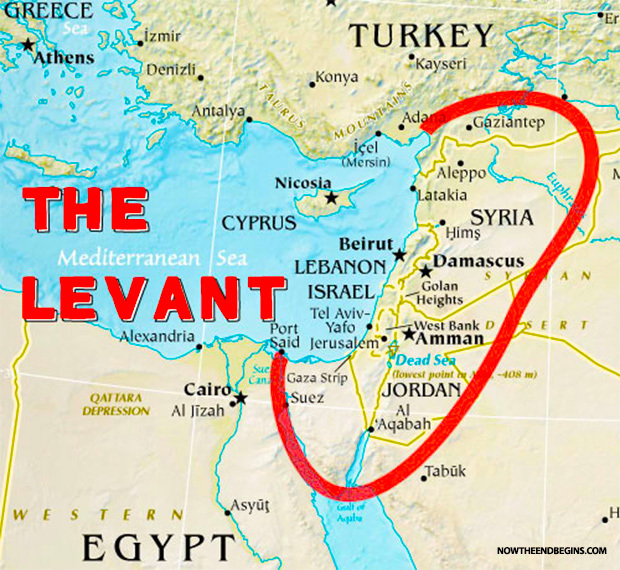 Why hasn’t ISIS attacked Israel? If you have been following their agenda, the leader of ISIS made his intentions very clear. Att first, he wanted to take over Saudi Arabia and take down the monarchy on his way to capturing the two Muslim holy cities of Mecca and Medina. Consequently, he wanted to launch terror attacks against the “unbelievers,” including the U.S.
Another one of his spokespeople also said, in Hebrew, that not even a single Israeli will remain alive in Jerusalem. Interestingly enough, Israel didn’t respond. The two sides seem to be sitting in idle for now. A lot seems to be happening behind the scenes which is top secret. One can only assume that no one believes that Baghdadi and Company are truly ignoring Israel. The Jewish state’s eyes are always open to the possibility of ISIS sleeper cells planted in the country, and ISIS might activate them before they complete their list of objectives. What we can conclude for a surety is that the powder keg has been lit and we are very close to a full scale war in the Middle East which will center around Israel. Mark 13:28-30—Now learn a parable of the fig tree; When her branch is yet tender, and putteth forth leaves, ye know that summer is near: So ye in like manner, when ye shall see these things come to pass, know that it is nigh, even at the doors. Verily I say unto you, that this generation shall not pass, till all these things be done.